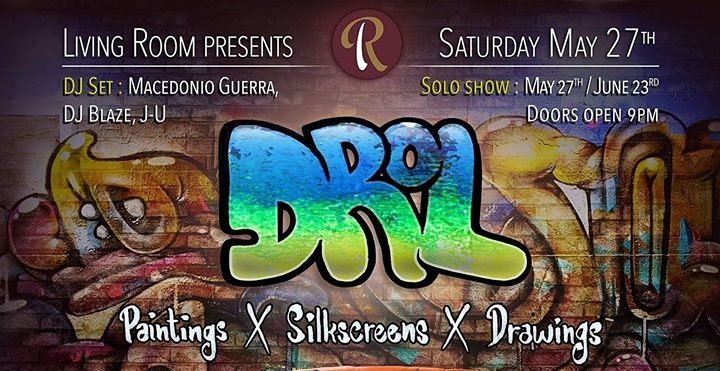 Saturday May 27th we present Drol - an absolutely amazing artist from France! Come enjoy a night of stunning art and great music! Our selectors for the night will be Macedonio Guerra, DJBlaze & J-u Che. This is gonna be a good one!! !